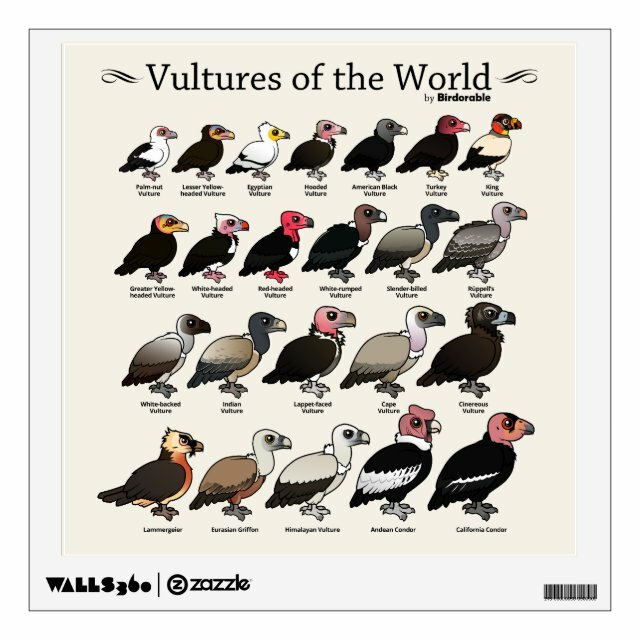 Each of the world's 23 vulture species is shown here in cute Birdorable form. A cute gift idea for anyone that loves these amazing birds! Brighten up any room with a custom wall decal from Zazzle and Walls 360! Printed with premium eco-solvent inks on high quality fabric paper, your images, text, and designs will pop off the wall with more... stunning clarity and color accuracy. Made to be moved, each wall decal can be peeled and repeeled up to one hundred times without damaging the decal or walls. No glue, no frames, no pain – make a space all your own with a customized wall decal!